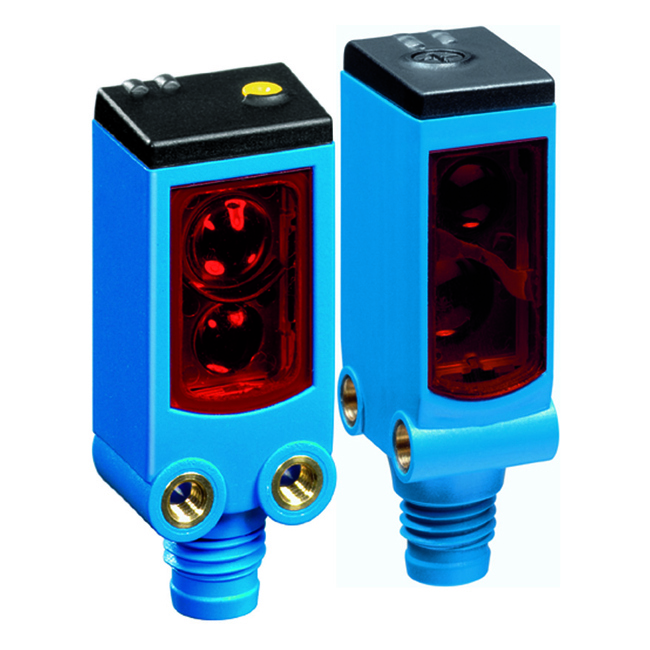 W4-3, Photoelectric proximity sensor, Background suppression. Sensing range max. : 4 mm … 50 mm. Connection type: Cable with connector M12, 4-pin, 150 mm. 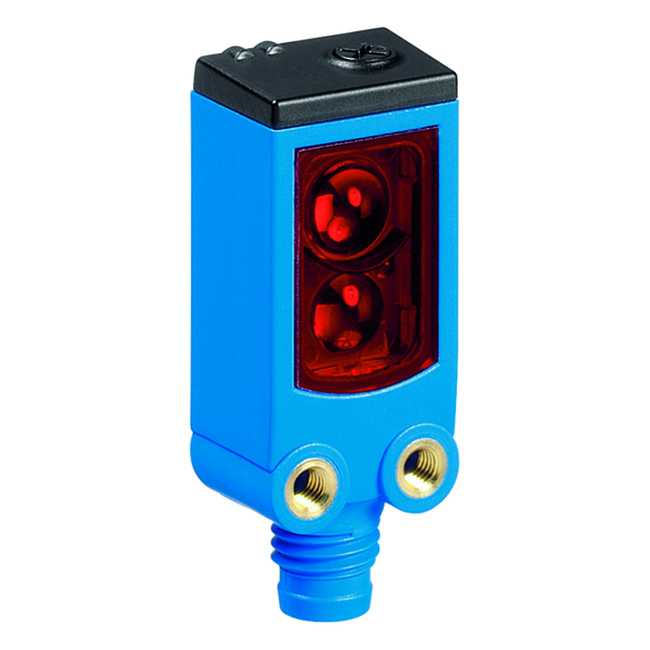 W27-3, Photoelectric proximity sensor, Background suppression. Sensing range max. : 30 mm … 1,100 mm. Connection type: Cable with connector M12, 4-pin, 270 mm. W4-3, Photoelectric proximity sensor, Background suppression. Sensing range max. : 4 mm … 50 mm. Connection type: Cable, 3-wire, 2 m.
W4-3, Photoelectric proximity sensor, Background suppression. Sensing range max. : 4 mm … 50 mm. Connection type: Cable with connector M8, 3-pin, 1.5 m.
W4-3, Photoelectric proximity sensor, Background suppression. Sensing range max. : 3 mm … 50 mm. Connection type: Cable, 4-wire, 2 m.
W4-3, Photoelectric proximity sensor, Background suppression. Sensing range max. : 2 mm … 50 mm. Connection type: Cable, 3-wire, 2 m.
W4-3, Photoelectric proximity sensor, Background suppression. Sensing range max. : 4 mm … 50 mm. Connection type: Connector M8, 3-pin. 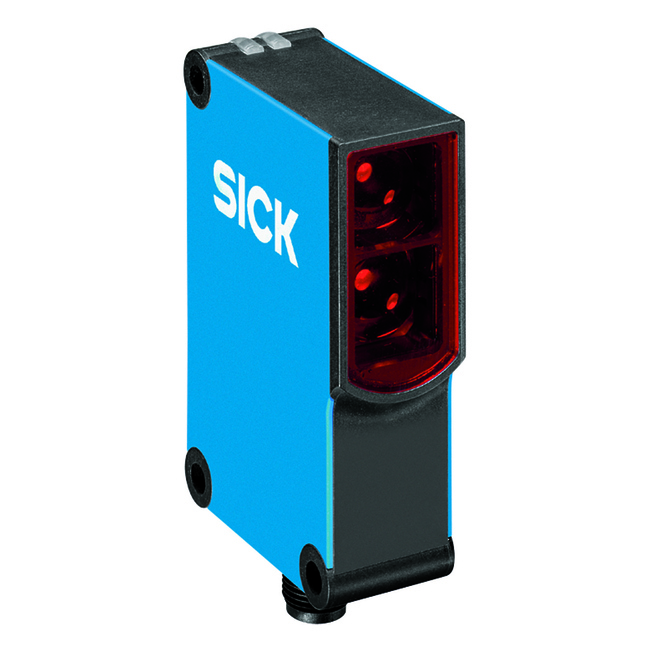 W4-3, Photoelectric proximity sensor, Background suppression. Sensing range max. : 3 mm … 50 mm. Connection type: Connector M8, 4-pin, 2 m.